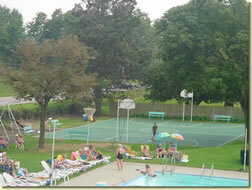 Now there is a private family recreation resort in your community where mom, dad, and the kids can get together for fun in the sunshine all summer long. Our private club is for people who enjoy people. 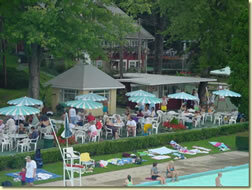 It�s a place to relax, swim, meet new friends and find old ones. The club is an ideal place for parents to become a part of a child�s �growing up� memories. 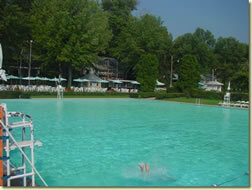 Our private swim club has only one purpose, and that is to see to it that the members enjoy themselves and have fun. Many activities are going on throughout the season, all for you, the member. Since we are a private club, there are no crowds to fight; our membership is limited. You will find the safety, and serenity, and security that few have enjoyed in recent years. Certified Member of The Swim Facilities Operators Association of America. Our affiliation with this national association assures you, the member, that we will maintain our high level of opera�tion throughout the years. This national group of recreation professionals are constantly seeking ways to make your summers more enjoyable at our club. Mom and the kids can break away from the daily routine and head for the club, where they will be able to play together, secure in the knowledge that their enjoyment and safety will always be maintained. There are plenty of other children to play with, and mom will be able to relax by the water and chat with friends while working on that golden tan. Your children can be a part of the many organized activities offered by your club. The purpose of our program is to teach good sportsmanship and make those growing-up years exciting. There is instruction, of course, in swimming and diving. After all, swimming is one of the few sports that a person can enjoy throughout their life, either competitively or as a form of relaxation. 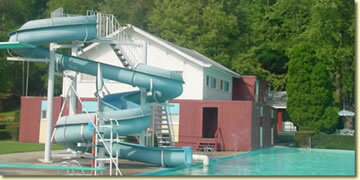 When joining the club, all members, young and old become a part of the �Wet Set�. The relaxing resort atmosphere of the club is a perfect place for dad to get away from the pressures of the week. Playing in the water with the family, enjoying a little exercise or just lying in the sun half awake; soon your cares are drifting away. School is out for the summer! Now what do you do with yourself? At our private swim club there is always something happening. You will find many of your friends are already members. If you enjoy diving and swimming, a deep dark tan, or just sitting around talking and sipping on a cool drink, you�ll find it here. The club is a great place to meet people and entertain the gang.